Called the “Prince of Entertainers” and the “entertainer of princes,” Cummins was a prominent Waimanalo sugar planter known for his generous and lavish hospitality to royalty and commoner alike and for his knowledge and love of Hawaiian traditions. Cummins made sure meticulous arrangements were in place as twenty men safeguarded the Queen around the clock. The Queen had a head steward who had twenty men under him, ten of whom guarded by day and ten by night. 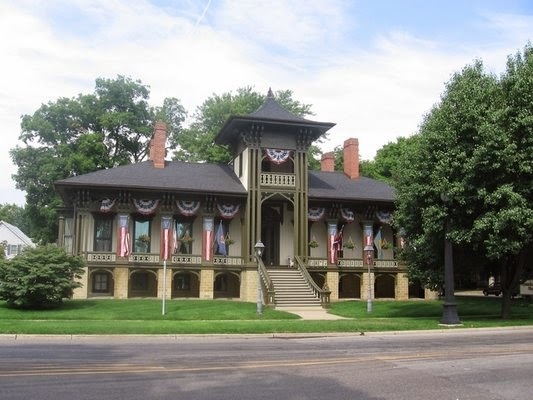 Then on November 5, 1875, the festivities began. Leading a vibrant procession into Waimanalo were Cummins, Queen Emma and her mother. A huge celebration took place at Mauna Loke (Cummins Waimanalo home,) the first stop of a two-week “Grand Tour of Oʻahu” by the Queen. She stayed three days, by which time the number present – both invited and uninvited – was in the hundreds. Cummins had built two large, thatched lanai that seated 200 people. The lūʻau and hula performances were followed by fireworks and rockets fired from the surrounding Koʻolau Mountains at Waimanalo. Along their circle-island journey, preceding the procession, posters were placed at different parts of the island noting the respective dates of arrival so that local folks would be ready with food, entertainment and accommodations. 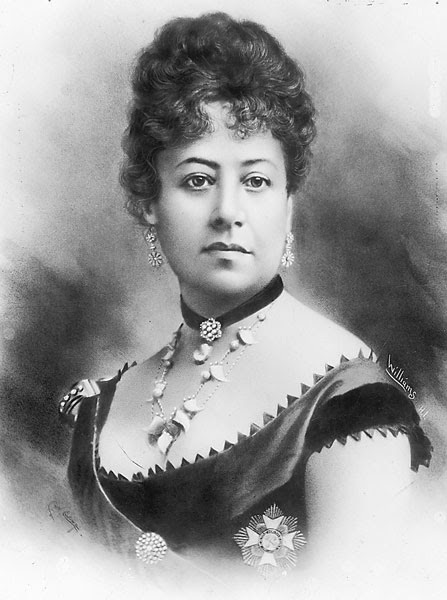 At Punaluʻu, the Queen agreed to ride with Cummins in a canoe; it was tied with hundreds of feet of rope to two horses who galloped parallel to the water for four miles on the beach. The image shows Queen Emma. In addition, I have included more related images in a folder of like name in the Photos section on my Facebook and Google+ pages.